Aunt Lizzy’s Parlor 201/2” x 221/2” This beautiful little quilt uses some of my favorite but simple techniques. 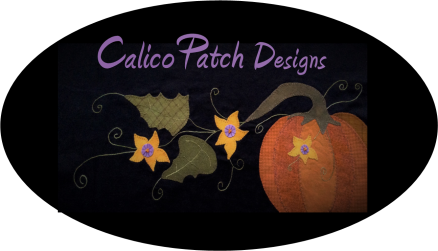 Pattern includes easy to follow instructions on using your sewing machine to pre-quilt background with a decorative stitch and make simple stems on the bias. 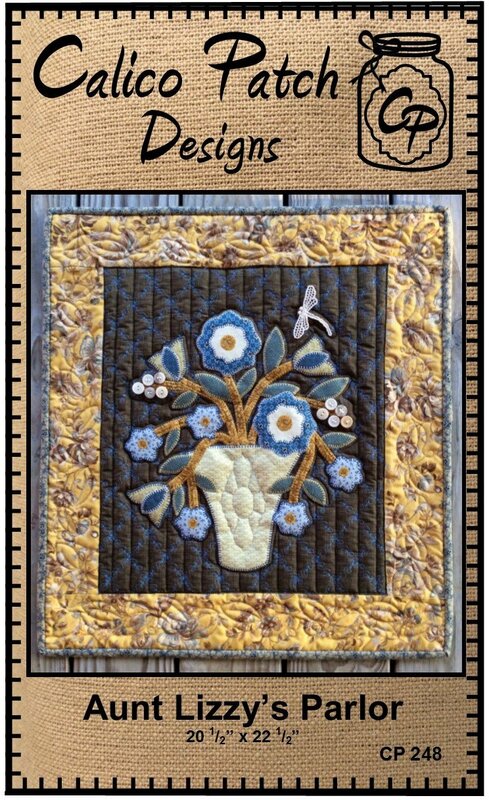 Kit includes Pattern, Embellishments and Fabric with binding.